The MSC is a Swiss company and one of the world’s largest shipping companies. It rents its offices in Burma from the Myawaddy Bank. 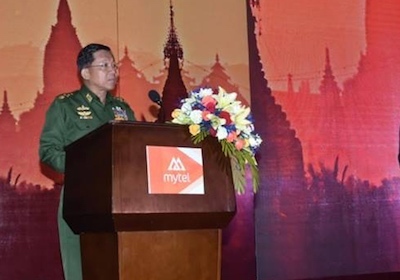 The Myawaddy Bank is part of the Union of Myanmar Economic Holdings (UMEH), which is controlled by and for the benefit of the military.